When it comes to summer drinks, you cannot resist putting a few ice cubes in the glass. Be it cold coffee, a smoothie or your favorite juice, a few ice cubes is a must. But the use of ice cubes is not just limited to adding a cool element to your beverages. The humble-looking ice cubes can be a part of your beauty regimen, too. The effects of using ice cubes on your face are amazing. Ice cubes are easy to make and are extremely versatile. You can even make some adding different ingredients to the water in the ice cube tray. Moreover, they are practically free! Here are some ways that you can use ice cubes for beauty purposes. Whether you have a blind pimple or painful acne, ice cubes can help a lot. Applying a cold compress made with ice cubes helps improve the blood circulation in the affected skin. It also helps shrink open pores and reduce the inflammation and pain caused by pimples. Wrap some ice cubes in a clean cloth and gently press it on the affected area for a few seconds. Wait a few minutes, then reapply the compress. Repeat the process 3 or 4 times. Do this twice daily. For added benefits, pour cucumber juice into an ice cube tray, freeze it and use it the same way as described above. Cucumber has anti-inflammatory and cooling properties that help treat acne. You can use ice cubes in your daily routine to enjoy healthy and flawless skin. The cold temperature helps tighten the skin, thus preventing wrinkles and premature aging. It also reduces large pores and minimizes the production of sebum, a natural oil produced by glands in your skin. Right after washing your face in the morning, rub the skin with ice cubes wrapped in a thin towel. Do it until the ice cubes melt. Pat dry the skin and apply a light moisturizer. Apart from water, you can also make ice cubes with mint-infused water to add a cooling effect. Too much exposure to harmful ultraviolet (UV) rays of the sun can cause a sunburn. Sunburns damage your skin over time and can be really painful, too. 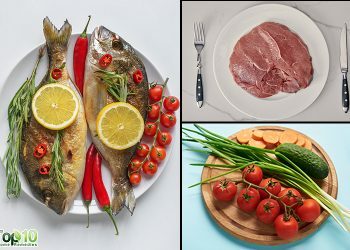 It can even lead to peeling or blistering skin. Sunburns also double the risk of developing melanoma, a deadly form of skin cancer. 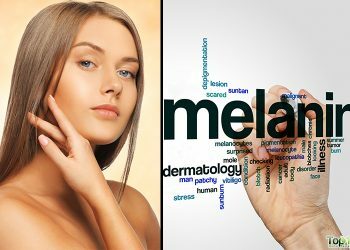 A study published in the American Journal of Epidemiology in 2016 reports that sunburn is closely associated with melanoma risk (1). To quickly treat a sunburn, ice cubes are very effective. But aloe vera ice cubes will provide added benefits. 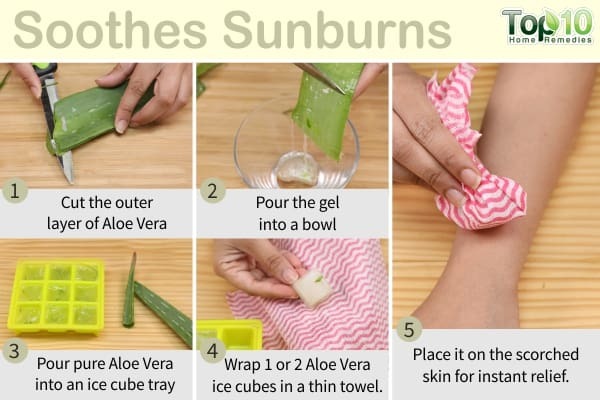 Aloe vera has excellent anti-inflammatory properties that help deal with the various symptoms of a sunburn. Plus, it has soothing properties that can ease the pain associated with sunburn. Pour pure aloe vera gel into an ice cube tray and freeze it. 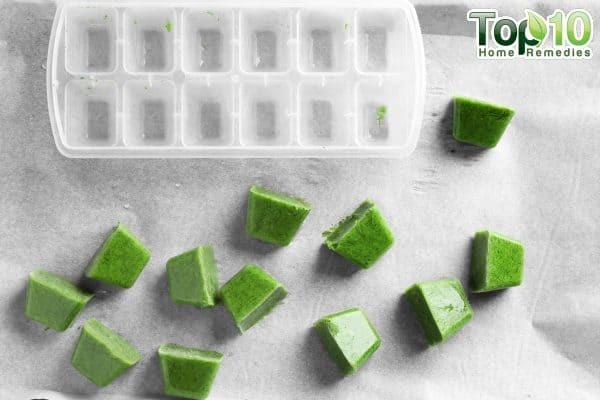 Wrap 1 or 2 aloe vera ice cubes in a thin towel. Place it on the scorched skin for instant relief. Do it several times a day as needed to relieve discomfort. Under-eye bags or dark circles under the eyes can be due to several reasons, such as genetics, excessive smoking, inadequate sleep, improper diet, excessive drinking, too much stress, pollution and allergies. If you have dark circles under the eyes, one quick treatment that you can try is ice cubes. Both cucumber and rose water ice cubes are beneficial in treating under-eye bags. A cold compress will promote drainage of the excess fluid and dramatically improve the appearance of tired-looking eyes. Extract the juice of 1 cucumber, pour it into an ice tray and freeze it. 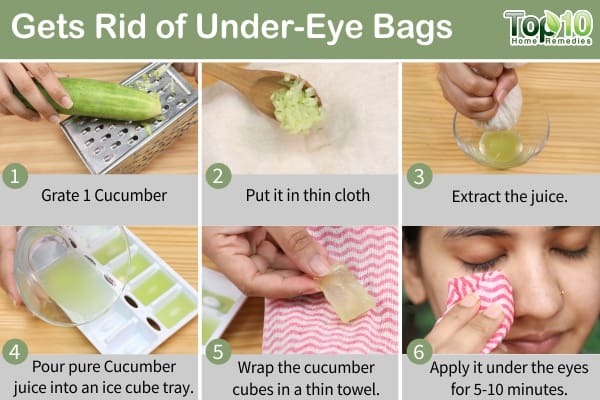 Wrap the cucumber cubes in a thin towel and apply it under the eyes. Do it for 5 to 10 minutes, then wash it off with lukewarm water. Do this a few times a day. Alternatively, pour rose water into an ice cube tray and freeze it. Then use them the same way as described above. Did you cry all night? Then, chances are you will wake up the next day with puffy and swollen eyes. To deal with eye puffiness, green tea is very beneficial. With plenty of antioxidants and a dose of caffeine, it helps soothe your eyes and reduce the puffiness. 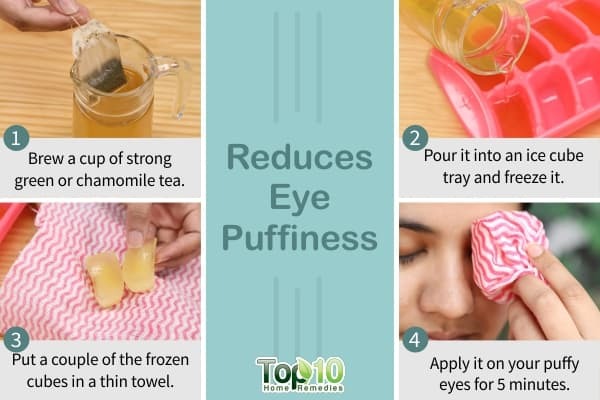 Similarly, chamomile tea helps treat eye puffiness. Its anti-inflammatory nature reduces swelling around your eyes. Brew a cup of strong green or chamomile tea. Pour it into an ice cube tray and freeze it. Put a couple of the frozen cubes in a thin towel. Apply it on your puffy eyes for 5 minutes. Wait 1 minute and repeat the process 4 or 5 times. 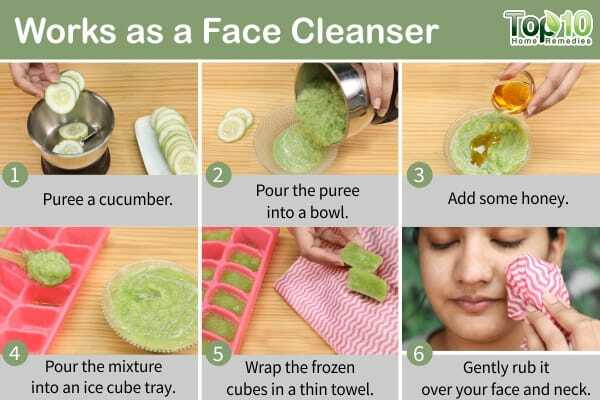 You can use cucumber juice and honey to make ice cube cleansers at home. While cucumber is soothing for the skin, honey is one of the best natural moisturizers around. It helps lock the moisture into your skin to make it extra smooth and soft. Pour the mixture into an ice cube tray and freeze it. Wrap the frozen cubes in a thin towel. When the ice has almost melted, gently rub the remaining slush over your face and neck to exfoliate your skin. Allow the juice to sit on your face for 5 to 10 minutes before rinsing it off. 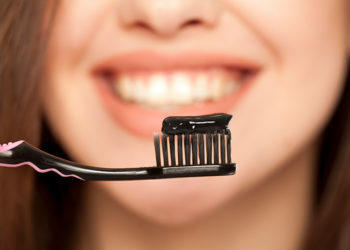 Use it 2 or 3 times a week. Tweezing your eyebrows can be painful. But now you can make it less painful by using an ice cube. The cold temperature will numb the skin and also reduce post-tweezing redness and inflammation. 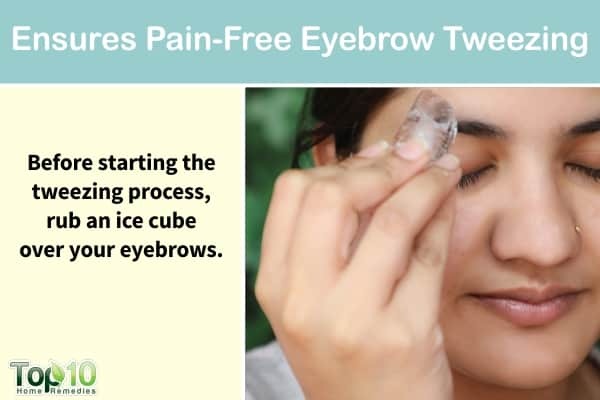 Before starting the tweezing process, rub an ice cube over your eyebrows. Tweeze the brows as needed. Again, rub an ice cube over the area to prevent redness. When using ice cubes, don’t keep them on your skin for too long. 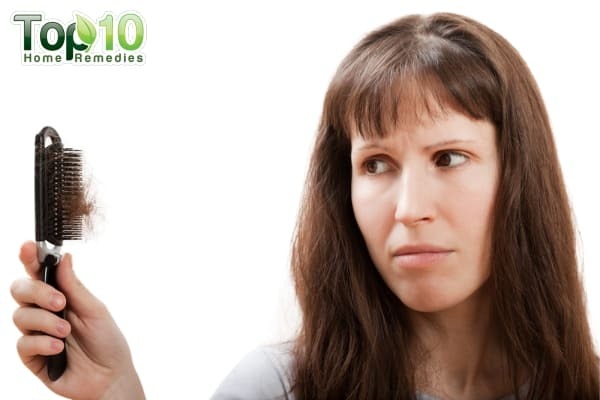 It may lead to skin problems that can worsen the problem. 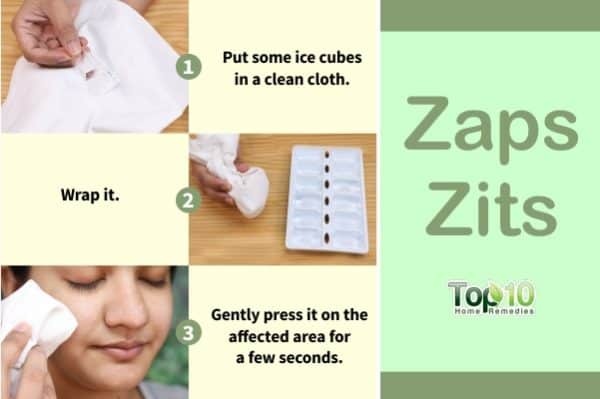 Do not use ice cubes directly on your face, as it can cause the delicate capillary blood vessels under the skin to break and also lead to frostbite. It is highly advisable to always wrap the ice cubes in a clean cloth. History of Severe Sunburn and Risk of Skin Cancer Among Women and Men in 2 Prospective Cohort Studies. American Journal of Epidemiology. 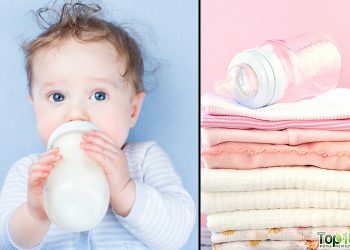 https://www.ncbi.nlm.nih.gov/pmc/articles/PMC4851991. Published May 01, 2016. What a neat idea !! I might try one of them soon ! Thank You Very Much!! Great Inofrmation! !